The thousands of visitors that flock to Independence for the Santa-Cali-Gon Days Festival next year may find an unexpected surprise in the beer garden: an Independence, Missouri, brewery. 3 Trails Brewing, which is in the process of building out its space at 111 N. Main St., hopes to open by year’s end on Independence Square. And the brewery’s back door leads right out to where the beer garden was located for last weekend’s fest. That may not be the case for long. Apex Aleworks, a brewery by the team behind the homebrewing shop Apex Brew Wares, will open this fall at 4356 Noland Road. 3 Trails, which is waiting on its federal licensing, may not be far behind. Weinand is opening 3 Trails — named for the Santa Fe, Oregon and California trails — with Matt Medley and Brian Clark. Medley owns the building on Main Street, which also houses the Blue and Grey Book Shoppe and Art Squared. Weinand, an accomplished homebrewer who earned national recognition from Ballast Point in 2016, aims to hire a head brewer this month. “There’s just a whole set of things you need to know to manufacture beer. I wanted somebody with a lot of experience in a brewery,” Weinand said of the decision to hire a head brewer. 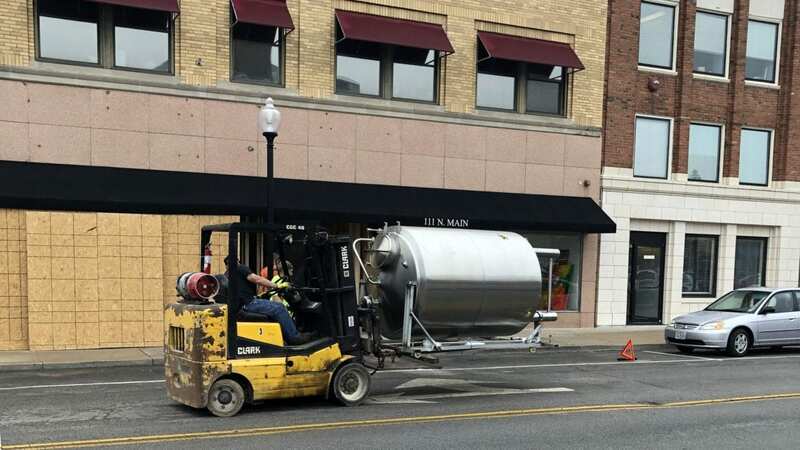 That brewer will oversee production on a 10-barrel system, as well as a 20-gallon pilot system that will be used to make beers Weinand has dubbed “The Manhattan Project,” inspired by Harry Truman and World War II. The brewery will also serve local spirits and wine, as well. You can try 3 Trails Brewing’s beers at The Festival of The Lost Township, hosted by Crane Brewing Co., Saturday, Sept. 29, in Raytown, Missouri. 3 Trails will bring its Fat Man Sweet Stout, a Grapefruit Truman Slow Stroll IPA, and unnamed American light lager. Liberty Cap Brewing released its beers into the market in St. Joseph, Missouri. The production brewery is producing kegs that are on tap at Cafe Belle Epoque (1141 Frederick Ave.). Liberty Cap has a cream ale and Centennial IPA. Also in St. Joseph, River Bluff Brewing is looking to open just down the street at 1224 Frederick Ave. by the end of the month. The brewery plans to serve beer and cider in the historic building that was a brewery more than a century ago. The taproom will be decorated with St. Joseph ephemera, like the sign from the former Olympia Bowling Lanes. 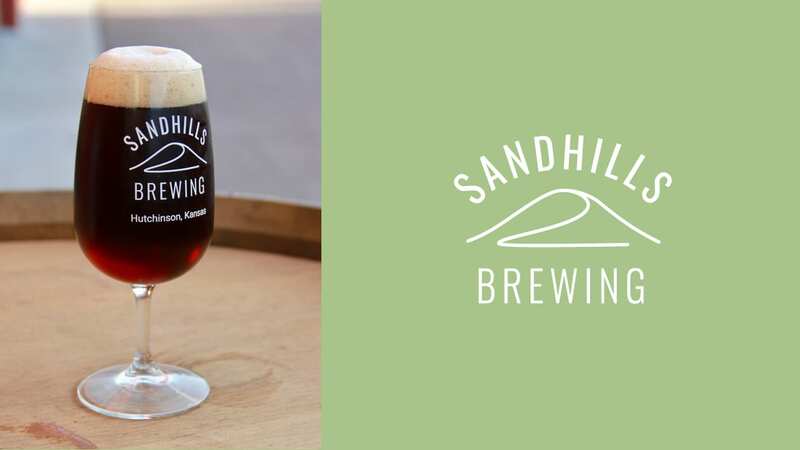 With the Kansas State Fair in town, Sandhills Brewing Co. (111 W. Second Ave., Suite D) is extending its hours at the brewery in Hutchinson, Kansas. They’ll be open from 1 to 5 p.m. Tuesday through Thursday, 1 to 6 p.m. Friday, and 10 a.m. to 5 p.m. Saturday. They tapped a Test New England IPA #2 last week. Sandhills offers four-packs and 32-ounce and 64-ounce growlers to go. Brewery Emperial (1829 Oak St.) recently released its Amber Ale (6.2% ABV, 25 IBUs). Torn Label Brewing Co. (1708 Campbell St.) released the 22nd batch of Hang ‘Em High last week. It’s been brewed with two new hops: Styrian Dragon and Vic Secret. Casual Animal Brewing Co. (1725 McGee St.) has an Experimental IPA and Apricot Ale (5.5% ABV), an ale infused with apricot puree. Strange Days Brewing Co. (316 Oak St.) has Estrangement, a Belgian dark strong ale made with cherries that is aging in Maker’s Mark bourbon barrels. It should be ready next spring. Double Shift Brewing Company (412 E. 18th St.) releases Monster Tribe Brut IPA (7.6% ABV). Head brewer Bryan Stewart noted in an email that this beer is “hopped like a NEIPA (New England-style India Pale Ale), but bright, effervescent with notes of strawberry, Orange Julius and peach. Cinder Block Brewery (110 E. 18th Ave., North Kansas City, Missouri) is bringing back Amber BloKC today. The beer, which debuted last winter, will be released at 4 p.m. Double Shift drops Dual Intersect Pale Ale (6% ABV). It’s a hazy beer made with wheat, oats and hops, with pineapple and grapefruit notes. Cinder Block is hosting a Backyard BBQ Fundraiser for Camp Quality from 5 to 8 p.m. They’ll have s’mores, burgers and brats on the patio, along with an ambassador from the Kansas City Chiefs. One dollar from each beer sold will benefit Camp Quality. Crane Brewing Co. hosts a calendar release party from 6 to 9 p.m. KC Brewery Hop 2019 is a celebration, in calendar form, of brewing from local beer blog, Eleven Three KC. A portion of the calendar sales benefit the Missouri Pit Bull rescue. And, Crane Brewing is releasing a collaboration brew with Central Standard Brewing Co. out of Wichita, Kansas, today, too. Friggatriskaidekaphilia — or Frigga, for short — is a Norwegian Farmhouse IPA. 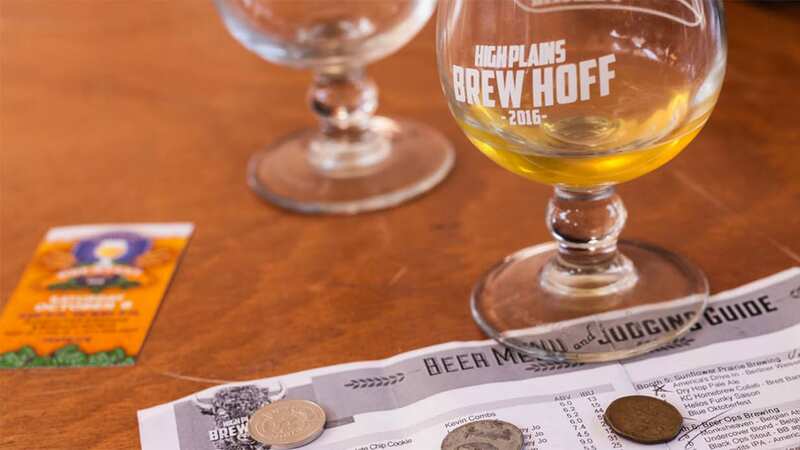 Discover potential breweries of the future at the fifth annual High Plains Brewhoff thrown by Brew Lab (7925 Marty St., Overland Park, Kansas) from 2 to 6 p.m. The celebration of homebrewers will feature live music and food, in addition to the more than 100 beers available for sampling. Tickets are $30. Flying Saucer Draught Emporium hosts the 10th annual KC Beer Fest on Saturday from 3 to 6 p.m. in the Power & Light District. The beer festival will have more than 200 beers, food for sale (Pie Hole’s Australian meat pies) and live music. Tickets are $40. VIP tickets, which include admission at 2 p.m., are $65. The Lawrence Beer Co. (826 Pennsylvania St., Lawrence, Kansas) hosts Luau for Limbs, a benefit for Steps of Faith, from 5 to 8 p.m. on Sunday, Sept. 16. Your $35 admission gets you a luau diner and three Tiki drinks. Also, you should know that LBC recently tapped its Oktoberfest, a malty amber brew that feels right for fall. Follow @FlatlandKC on Twitter and Facebook for all your beer news.